It has 8 Analog I/O pins and 8 digital pins, 4 of which have PWM (indicated by an asterisk). 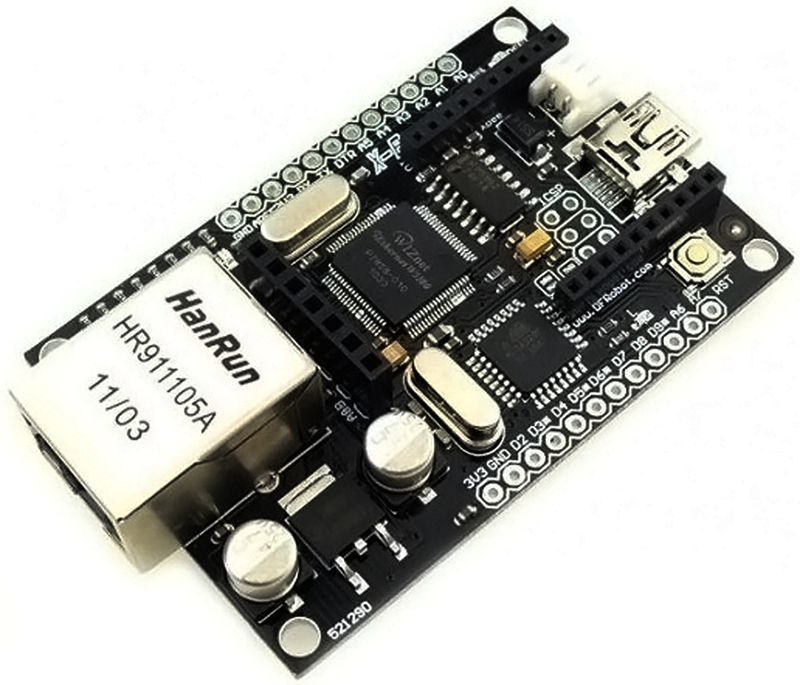 It is compatible with all XBee modules, and also comes with an integrated socket for APC220 RF Module or DF-Bluetooth Module. The XBoard can be programmedn via an FTDI programmer or via the ICSP header. Power is provided through a Mini USB connector. We have used our XBoard to control our office door from the internet. All we need to do if we forget our RFID badge is to login to our office WiFi and send the command to open the door! We have created a project guide which includes the list of parts, and source code to get this project going for yourself. The board requires FTDI basic board to upload sketch. It can be powered by a mini USB or our Lipo battery. Get XBoard-A bridge between home and internet (Arduino Compatible) from DFRobot Store or DFRobot Distributor.